Little Woods, North Dakota, is a fracking boomtown well beyond its prime. 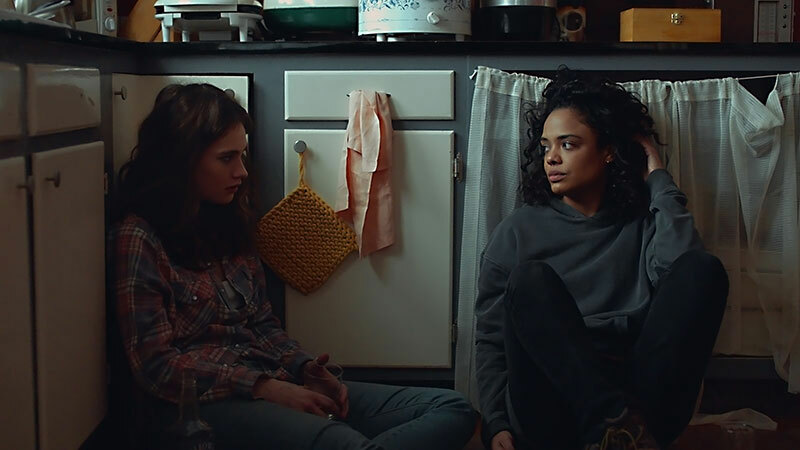 Ollie (Tessa Thompson) is trying to survive the last few days of her probation after getting caught illegally running prescription pills over the Canadian border, which she supplies to local miners struggling with chronic pain. But, when her mother dies, she is thrust back into the life of her estranged sister Deb (Lily James), who is facing her own crisis with an unplanned pregnancy and a deadbeat ex (James Badge Dale). The two find they have one week to settle the mortgage on their mother’s house or face foreclosure. As the bills and pressure mount, Ollie faces a pair of perilous decisions: whether to return to a way of life she thought she’d left behind or risk it all to help her sister. This taut and affecting thriller about women pushed to the extremes is an auspicious debut from writer-director Nia DaCosta (Jordan Peele’s upcoming Candyman). Little Woods is a film about making impossible choices and how the struggles to do right by your family can cause insurmountable repercussions for your own life.